Bramblecrest Oakridge Modular Sofa Suite Incl. Rectangular Dining Table With Armchair & Stool Seats provides a completely exquisite 8 seat outdoor or indoor maintenance-free furniture set. Stylish 5mm all-weather UV stable synthetic woven wicker constructed onto welded tubular aluminium framework, is both lightweight and rust-free. High quality central dining table supplied with easy-maintenance toughened safety glass, resistant to cope with exposure to significant temperature variations. The Oakridge woven range is designed to be left outside throughout the year, but also suitable for placement in a large conservatory. Suite accommodates 8 seated people, ideal for larger group or outdoor family gatherings over dinner & drinks. Oakridge Weave features 'oatmeal' coloured half-moon weave design finished in Bramblecrest signature 5mm round trim. The weave has been lightly brushed to further enhance the authentic, rustic look and feel of natural wicker. 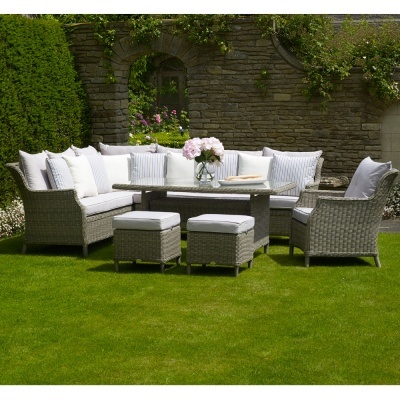 Synthetic weave ensures season-proof durability and comfort which makes the popularity of the Oakridge collection. 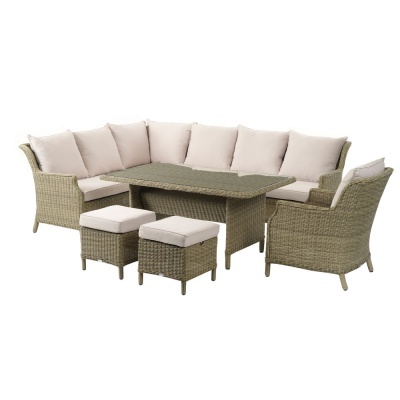 All seating is supplied with season-proof matching Fawn cushions to fit. Bramblecrest furniture is backed by a 3 year manufacturer warranty . 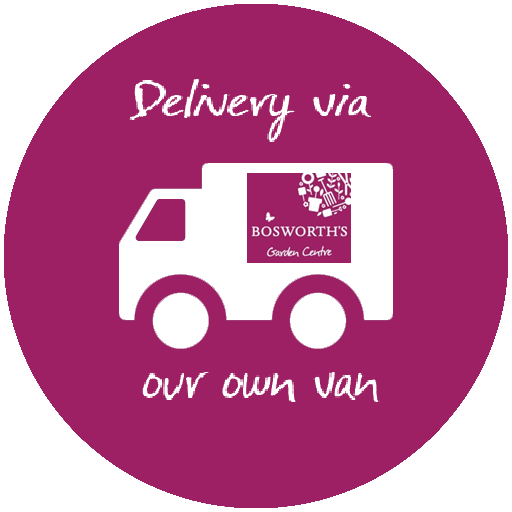 Bramblecrest Furniture is delivered free of charge by our own Bosworths transport and includes two man delivery where necessary. Qualified staff deliver at a mutually arranged time and date that suits you. Our delivery service to you includes delivery & manual handling of the furniture to the installed location of choice, and includes construction and removal of packaging.